It's time to hit over Black Brook again. 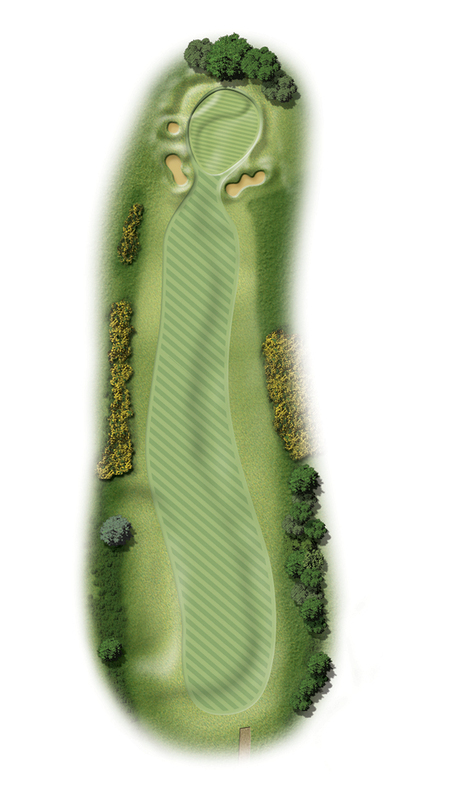 This time your tee shot needs to cross it with sufficient elevation to carry the steep brookside to set up a testing approach to a well guarded green. “A tight par 4. Take a fairway wood or long iron off the tee, just past the guide pole, to avoid banks of gorse on both sides of the fairway."